Antiseptic/disinfectant. Wide spectrum of antimicrobial activity and sustained residual effect due to binding with skin proteins. 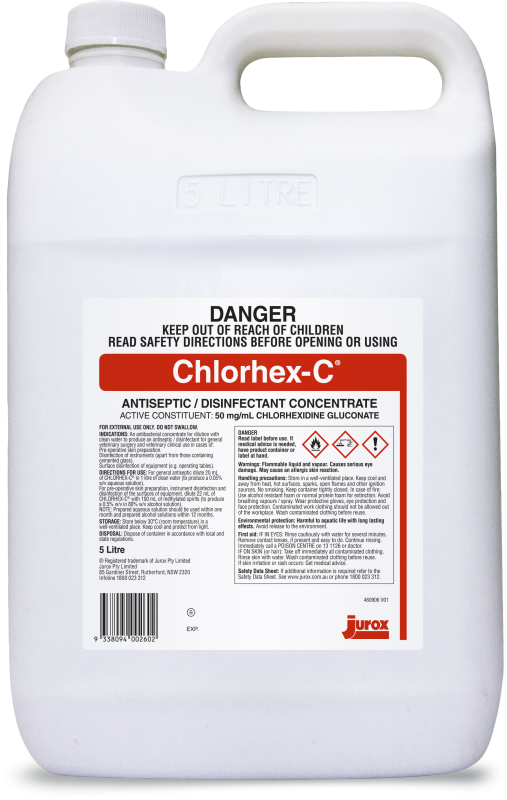 Chlorhex-C® is not affected by the presence of blood and organic material. General surgery and clinical use: preoperative skin preparation, disinfection of instruments (except those containing cemented glass), surface disinfection (e.g. operating tables).